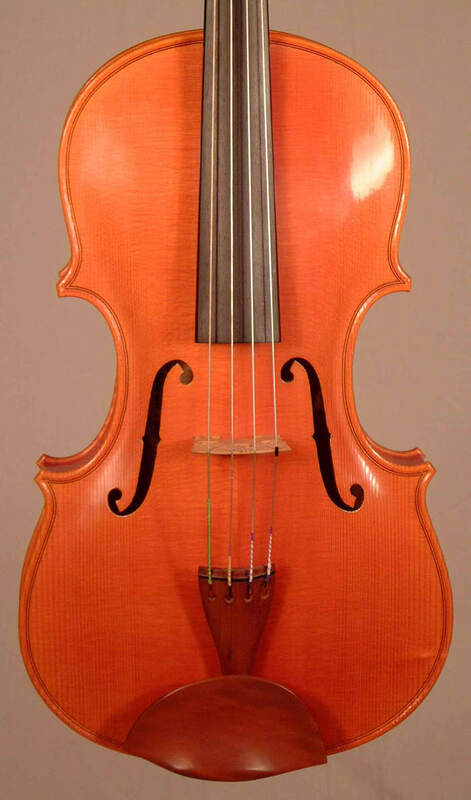 Recent violas over 16" body length have been based on an instrument made by Gasparo da Salo and currently owned by Henry Myerscough. 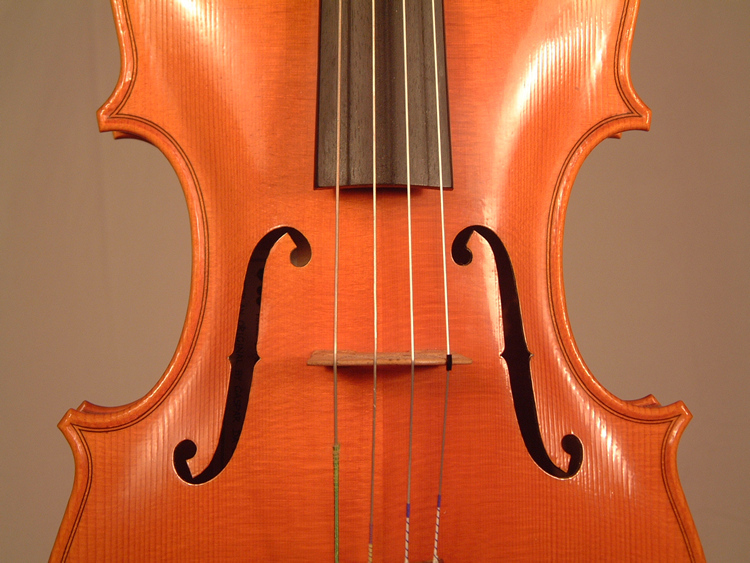 Early Brescian violas seem to have been made in two distinct sizes, perhaps arising from the need to double alto and tenor parts of church choral music. 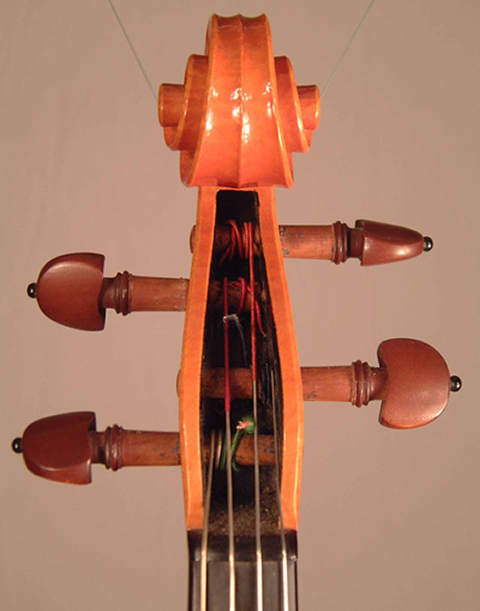 Most of those surviving are large- or cut down from these more cumbersome tenor instruments. 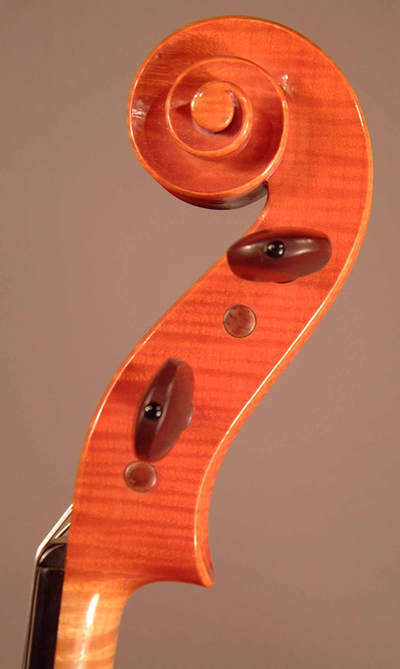 I have experimented with a variety of body sizes and rib depths to suit players needs and to achieve a perfect sound. 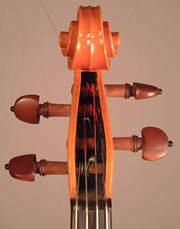 All instruments are oil-varnished. Please contact for availability and price.